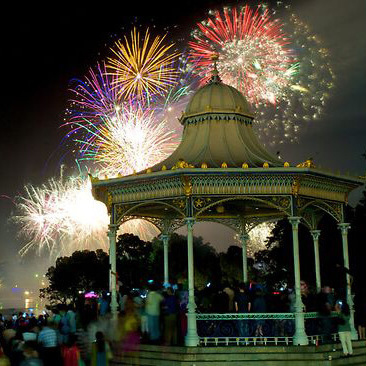 Bamboozled Productions kept the little ones entertained at Elder Park this New Year’s Eve in the dedicated Kids Zone, where hundreds of families can enjoy dazzling performances and carnival fun of our Street Theatre Shows including Mr Spin, Bendy Em, and The Circus Firemen. Our amazing Roving Performers wowed the crowds all over Elder Park, and our Little Palais tent hosted hundred of kids in our comedy and magic side show. Our Pocket was full of crafty kids as well making gorgeous cut out creations.